NEW BRITAIN - This year, the law firm Weber & Carrier, LLP, is celebrating 50 years of outstanding service to the Central Connecticut community. Established in 1968, the firm was originally named Weber & Marshall and was located at 19 Bassett St. The firm moved to its current location at 24 Cedar St. in 1970. The name was changed to Weber & Carrier, LLP, in 1999 after Attorney Thomas Marshall left the firm. The experienced team of attorneys at Weber & Carrier is dedicated to handling a wide array of legal matters such as residential and commercial real estate, litigation, personal injury, workers compensation, family law, criminal matters, business transactions, estate planning and probate. “The number one reason for our success is satisfied clients” Robert Weber Jr., who handles personal injury and litigation cases at the firm, said. Weber, who has been recognized as a “Super Lawyer” in Connecticut Magazine, added that satisfied clients have resulted in very long-term relationships with clients and their families. Adding to the success is the longevity of the lawyers and staff members, who have been with the firm for decades. “We have represented generations of clients. There are clients who I first met when I joined the firm in 1982. Over the years I have represented their children, and then grandchildren.” Weber said. The primary goal of the company is to provide excellent service to clients. 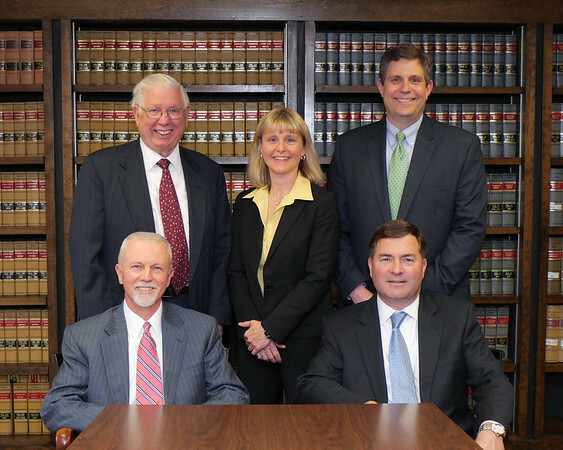 The attorneys at Weber and Carrier strive to resolve disputes in a goal-oriented and amicable way. They work as a team to provide clients with the benefits of collective experience and knowledge to best fit the clients’ needs. The firm offers alternative ways of handling divorce, including collaborative and mediation, depending on the need of each family. “We want to help clients and their families through a difficult time without unnecessary expense and upset that comes with a court battle,” said Attorney Diane Chace, divorce and family law attorney at Weber & Carrier. She also handles the firm’s criminal matters. Michael Carrier and Michael Boiczyk work with the firm’s real estate transactions, business transactions and general corporate matters. “An excellent work ethic, attention to detail and commitment to the best interests of our clients are the keys to the firm’s longevity and success,” Weber said. To learn more about the firm, visit or call 860-225-9463. Posted in New Britain Herald, , on Tuesday, 10 July 2018 20:03. Updated: Tuesday, 10 July 2018 20:05.